Recycle week 2018 starts today and the aim is to make us aware of the importance of recycling. We are taking part in a significant way. Our new recycling video will show you what you can recycle and why we need your help to recycle and protect the environment for future generations. Single use plastic may have a temporary advantage of being useful but a long term disadvantage to our environment. Single use plastics are not recyclable, hence why they are called single use. They are damaging the planet’s environment. Use a refillable water bottle. Use your own cutlery or sustainable alternatives. Buy fruit and vegetables without plastic wrappers. 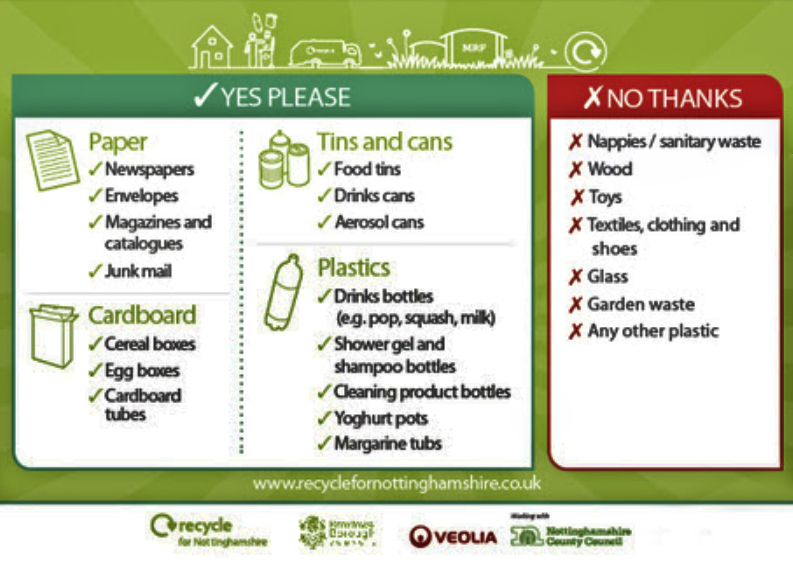 Look out for our new recycle banners in our future ‘Email Me’ Bulletins! I am still confused as to whether some plastic trays that come with microwave meals may be recycled. I think that they are NOT recycled. 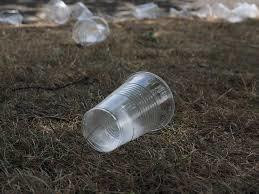 I am also confused by some ‘Paper’ drinks containers that I think are NOT recycled. There is a company producing recyclable material ‘Vegware Eco Friendly Packaging & Catering Disposables’. The video that I have just viewed suggests that we should recycle more items. But which items do we NOT recycle. Would suggest Mike you write to our Director of Environment at Broxtowe Borough Council for his comments to your very responsible questions. I am hoping that the Director Paul Summers will be able to attend our next CAT meeting on the 3td December to offer a recycling presentation for attendees. Thank you for your email. In response to your email I can advise the following. Some items may be recyclable such as plastic trays but this is different across the UK in different areas. We currently do not recycle plastic trays. Our recycling is sorted by the Materials Recovery Facility in Mansfield (MRF – Veolia). A variety of manual and mechanical processes are used to separate the waste. Plastics in particular are difficult to separate as the equipment will not recognise certain plastic items, such as black food trays, so won’t separate the items out. In addition there has to be a viable long term end market for the items collected and presently this is an issue which regards to certain plastics. I was also referred to the Bin Sticker that lists the items that can be recycled. See the post above for the sticker.